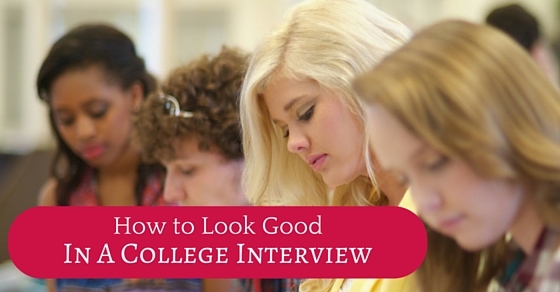 How to Look Good in a College Interview? The college is regarded as the stepping stone to a successful career for most students. College interviews provide students with the best opportunity to highlight their skills and be the center of attention. Students who fair well in college interviews get selected to the best colleges in town and achieve grand success. A college interview is thus an important milestone and you need to be well prepared and presentable to achieve success in this interview round. Here we have listed down a few vital tips that will help you achieve success and also look presentable in a college interview. Because in most cases the first impression is the last impression and you never get a second chance. The above mentioned phrase applies well to college interviews. Though looks aren’t the be all and end all when you interact with an admission representative, you are taking a major step to gain admission to a college. Therefore, dress decently. You must remember that your dress defines your personality. You must be careful while selecting your attire. Make decent colour choices. Go for light coloured formal shirts and trousers. Make sure you look smart in your outfit. Pick the right accessories to create the perfect look. You must wear a watch on your wrist to create an impression that you are time conscious. You must wear formal shoes in black or brown shades. Make sure your shoes are perfectly polished. Wear a belt to keep your pant or trouser in place. If your pant is too loose or your attire is not perfectly fitting, it can cause a negative impression. Nothing can be more stupid than a student coming for an interview without having any idea about the college he is going to attend. Spend some time to acquire details about the college you want to enroll into. It will help you to come up with questions related to your interest. If you have questions related to a course, campus life or extracurricular activities, then it will help you create an instant impression in the mind of the interviewer. Many students do not take the pains to learn about the institute where they plan to enrol themselves. This is a poor strategy. You need to do a thorough research about the institute or the college where you plan to get enrolled. Study the history and try to understand what kind of alumnus the college has had. It will help you get an idea whether your extracurricular activities will be encouraged or not and you may prepare for the interview accordingly. Most students go little beyond acquiring the contact number and basic information about a college. Though basics do matter, you also need to come up with good questions. Though an interview gives the admission representative the opportunity to assess your suitability for his college, it also gives you the chance to judge the college and its facilities. You need to be well prepared for more than what the college website conveys. Be ready with some questions about few details that are not displayed on the college website. Create an updated resume and create two copies. Keep one for yourself, and the other for the interviewer. If the latter doesn’t ask for it, there’s no issue. A resume will help you to present your thoughts in a collective manner in written form to the interviewer. If you fail to recall something during the interview, look down at your resume. It will help you remember the point. You can also take notes. It will help you to keep in mind what was said. There are several benefits of carrying a pen and a paper along with you when you head for a college interview. Firstly, it is a clear sign of professionalism. A candidate who carries a pen and paper along with him while heading for an interview surely knows the significance of a college interview. If he makes notes during the interview, it again reveals his seriousness and professional attitude. These are points that will act in his favour during the interview process. The first question that you are going to be asked is to say something about yourself. Be clear about your high school experience. Try to give a suitable conclusion by stating why you want to join the college. Work on your answer a couple of times before coming to the interview. It will help you to come up with the best answer. When you speak about yourself, you need to be confident. If your voice wavers or if you appear tense, it can hamper your profile and reduce your chances of getting selected to the college. You need to sound sure and precise when you speak of your skills, abilities and talent. Make sure all the points mentioned in the introduction follow a proper sequence. When all the facts follow a logical order, it is impressive. Maintain good eye contact with the interviewer. It will help you to communicate with clarity. You need to remember that the interviewer is continually evaluating your body language. Avoid word like ‘I think or ‘um’. Be aware of the gestures you make when you are nervous so that you can avoid them during the interview. If you are alert to your body language, you will be careful not to give away signs of tension and nervousness. You may find it really difficult to control your body language unless you practice intensely. Try to practice in front of the mirror. Get rid of all the nervous signs. Be smart and courageous so that you may appear for the college interview with the same courage. Colleges look for students who are not just regular, but complete their school to get the diploma. To do that, you will need to show the admissions representative that you are academically qualified. Though campus life-related questions are important, you will be evaluated mainly as a prospective student based on academics. So, if you have low grades in one semester, you need to be ready with answers. You need to keep academics as the key topic during your discussions. If you have fared poorly in any one semester, make sure you tell you interviewers the reason behind the poor performance. You may also tell them how you have been good in certain subjects. These are points that will help you increase your profile strength. If the interviewers are impressed, they may select you for their college studentship. Educational institutions look for all types of students. Try to find out some traits that make you distinct from others. Be honest about your trends and areas you think you need to improve while in college. Doing so will help you to be viewed as someone who will add value to a campus. If you have some special skills as a writer or a musician, you can reveal these to the interviewers. Some colleges are extremely eager to admit candidates who possess unique skills. So you needn’t shy away. Just be confident and speak up about your unique traits. Every student has his own story to tell. This is the major reason why they choose different vocations. No matter what your background may be, have full confidence in your abilities. Do not hesitate to voice that hidden dream that you have concealed even from your parents. Many times, it is the alma mater that helps students achieve their dreams and this could be true about your college too. So make sure you reveal to your interviewers about your true dream. College authorities appreciate thank you mails. Note down the name of the interviewer and a date to send a personal thank you mail a few days after the interview. Mention a few things about the college that you came to know in course of the interview. Thank you mails are a polite gesture and most colleges appreciate this gesture. Finally if you do not get selected in a college interview, do not get dejected or give up hope. You need to be the brave heart who has the will power to face all consequences. Courage is one trait that is vital in all stages of your life. If you do not lose hope and keep trying consistently, you will surely achieve your goal and be selected into some good college. So make it a point to be confident and courageous.